PSI: AKA Gail Marsh. Empowered with telekinetic and telepathic powers via the Meta-Human gene, Gail abandoned any semblance of being an upstanding citizen when she discovered she could bring anyone to their knees just by thinking of their fears. After a series of bank robbers, Psi appeared on the D.E.O. 's radar as a major threat. After her first encounter with Psi, Supergirl turns to J'onn J'onzz to help control her. J'onn is quickly dispatched by Psi as she is a much more powerful telepath. Only Supergirl's inner strength will be a match for this Meta-Human villain. 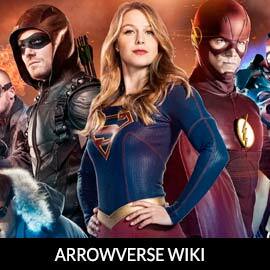 For more on Psi, check out our partners at ArrowverseWiki.